Music echoing along the corridors as commuters hurry for their train is all part of the experience of catching the metro in any big city. 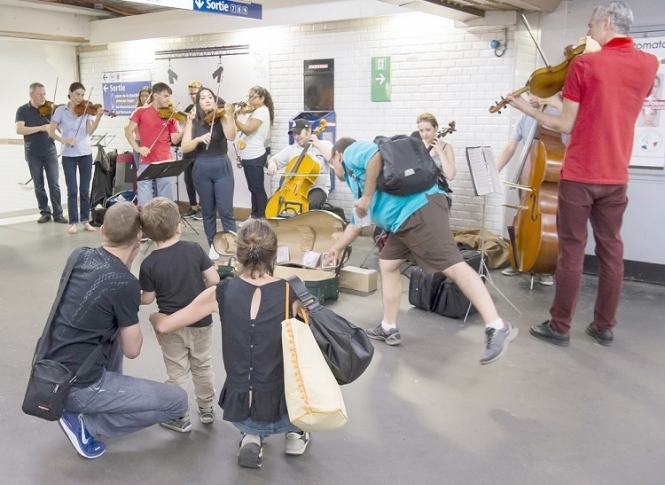 In Paris, however, busking in the Métro can be a genuine stepping-stone to fame as artists are carefully selected by the Paris Transport Authority, the RATP, which has links with festivals and record labels. As the authority’s artistic director, Antoine Naso, points out - the Métro is the biggest stage in Paris, with more than five million passengers a day.